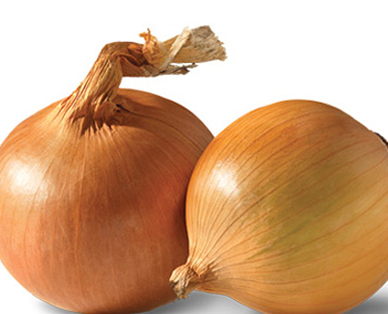 According to the U.S. Food and Drug Administration, onions are free of fats, sodium and cholesterol. They’re also low in calories and a good source of vitamin C.
Refrigerating onions for up to 30 minutes will prevent them from making you cry. The onion’s root end contains the majority of sulfuric compounds that make your eyes tear. Cut that part last. Run onions under warm water to make them easier to peel. Onions contain the antioxidant quercetin, which research has shown can help protect from cataracts, heart disease and cancer. Studies also show that eating onions may help prevent bone density loss and prevent osteoporosis. Pick onions that are firm and dry with bright, smooth outer skin.